Fire fighters battle flames engulfing police station in Kanesatake, October 12, 2015. 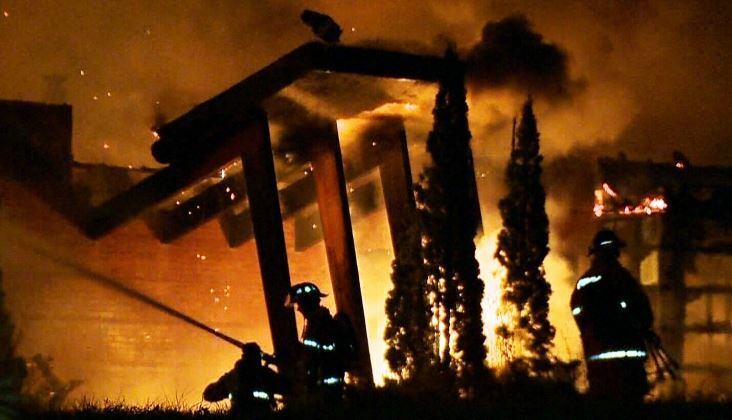 A former police station in Quebec where dozens of Aboriginal officers were held hostage more than a decade ago has burned to the ground. The blaze in the Mohawk settlement of Kanesatake injured no one, but brought up bad memories and raised questions about youth joblessness. Most kids spend the summer playing with friends or chilling out at home. But when sisters Waneek Horn-Miller and Kaniehtiio Horn were just 14 and four years old respectively, these Kahnawake Mohawks were behind the lines of one of Canada’s most infamous standoffs. 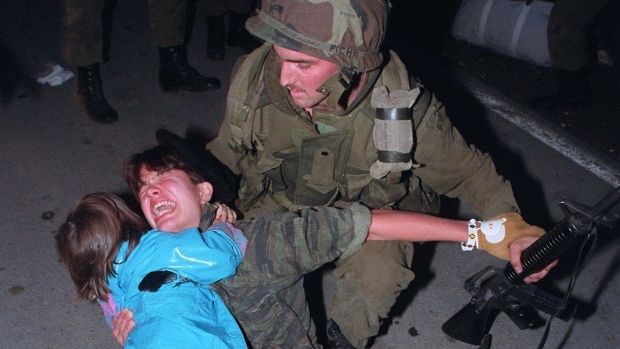 The media branded it the Oka Crisis but for those who were there and those who supported them, it is remembered as the Mohawk Resistance. “My mother, Kahentinetha Horn is a native activist, old-school from the ’60s. She was there and me and my little sister ended up following her there,” recalled Horn-Miller.